All ProductsTurkey's Dermocosmetic Hair Brands Prozinc offers daily use compatible products for hair and scalp health. Our products are constantly supported and developed by specialist R & D team, dermatological clinical studies and researches. 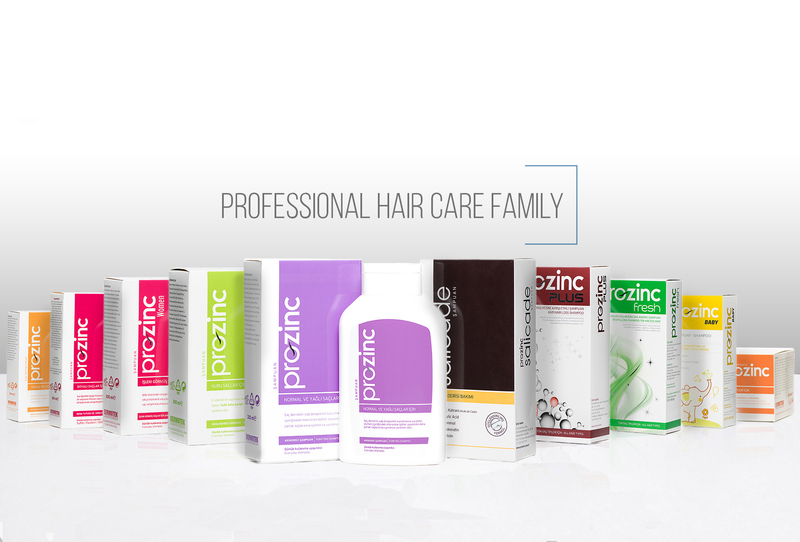 Prozinc is Turkey's Dermocosmetic Hair Brand which was registered in Turkey in 1996 and first entered the market with classic dandruff shampoos. Prozinc has been sold only in pharmacies for 20 years and according to reports of 2016 IMS Market Analysis, it has achieved to be the most sold brand in Bran Shampoo category with 14000 Pharmacy penetration in Turkey. Prozinc is the first brand that comes to mind in hair care brands in Turkey in 2020 with the vision of being the most exported brand in Turkey in the category of dermocosmetic liquid shampoo. 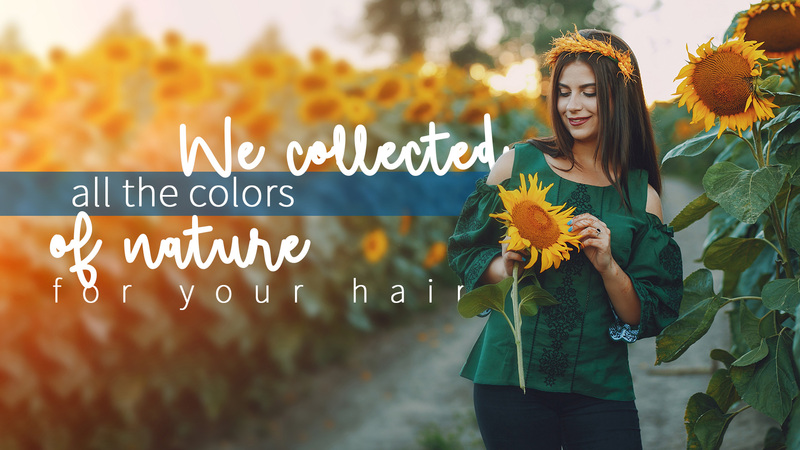 It is an expert hair care brand which consists of products that are most effective, appropriate and solution-focused products by constantly renewing itself in accordance with hair and scalp characteristics and following innovations with ar-ge. HAIR TYPE: Normal and/or oily, brittle and with dandruff Have problem free hair with purifying Prozinc Shampoo While it provides sebum balance of hair skin, it helps you reach brighter hair more than as it used to be by micronized lipids. By containing Zinc Pyrithione, it prevents and Dandruff when used regularly. It regulates sebum secretion due to piroctone olamin inside it. It provides 20% more bright hair as well as helping you comb your hair more easily and gain silky appearance due to micronized lipids. It helps your hair to be nourished starting from roots of hair and to vitalize. HAIR TYPE: Hair that is dry, brittle, weak, difficult to comb, with dandruff, split ends and needs to be given moisture and volume. Refresh your hair with moisturising Prozinc Shampoo It helps you to have 20% more bright hair by micronized lipids, together with moisturising by Vitamin E.
It provides 20 % more bright hair as well as helping you comb your hair more easily and gain silky appearance due to micronized lipids. It helps your hair to be fed from roots of hair and to vitalize. It prevents hair loss as well as helping hair growth in a healthy way due to biotin inside it. HAIR TYPE: Treated hair that is itchy, matt, with dandruff and has flaking problem Protect your treated hair from harmful effects with Prozinc Shampoo Women. It increase the hair volume and shine with silky proteins and special complex consisting of herbal exracts. It prevents dandruff when used regularly. It helps to remove dandruff effectively by containing piroctone olamine and climbazole inside. It helps to hair nutrition, regulation of sebum secretion, growing of hair follicule, revitalizing; get the brightness, smoothness and volumising though special komplex consisting of herbal exracts inside it. It protects from harmfull effects of free radical which is forming a protective layer on the hair and then also promotes hair colour protection. Silky protein helps deep moisturising of hair though high moisture binding property, while it gains for hair smoothness and brightness. Salicade Shampoo prevents dandruff when used regularly. Salicade Shampoo is effective against bacteria due to Huile de Cade inside it . Salicade Shampoo regulates sebum secretion due to Ichtammol inside it. Salicade Shampoo contains Salicylic acid.Salicylic acid is a keratolytic agent which prevents dandruff and scalp crusting. Salicade Shampoo contains the building blocks of protein, Phytokeratin, nourishes and strengthens your hair. It adds volume and shine to your hair. Salicade Shampoo contains also Allantoin. Allantoin is a agent which has strong cell renewal effect. Specific and strong fragrance of Salicade Shampoo is the natural fragrance of Huile de Cade in its formulation. Huile de Cade (Cade Oil) in its ingredient balances the sebum secretion and prevents bacteria propagation. The medically valuable tar is a wood tar. Salicylic Acid prevents dandruff and eliminates scurf formation. Ichtammol is keratolytic, sebum balancing, effective against bacteria and prevents dandruff. Prozinc Baby Shampoo Suitable for daily use. It does not contain Paraben, Phenoxyethanol and Sodium Lauryl Sulfate. By means of German Chamomile (Chamomilla Recutita) within the Prozinc Baby which has a relaxing and soothing effect, it helps scalps of babies and children to relax. By surface – active agents suitable for delicate scalps of babies and children, it cleans the hair. It has a hypoallergenic formula. It does not contain Paraben, Phenoxyethanol and Sodium Lauryl Sulfate.